The Panjab University conducts an entrance test, Panjab University Tourism and Hospitality Aptitude Test for admission into Bachelor of Hotel Management and Catering Technology and Bachelor of Tourism and Travel Management. The candidate who wishes to study in the mentioned Tourism and hospitality course must appear for PUTHAT. The admission will be granted on the basis of candidate’s performance in the Panjab University Tourism & Hospitality Aptitude Test (PUTHAT). 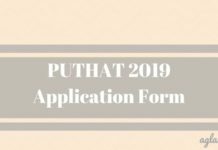 Candidates can check the more details on Panjab University Tourism & Hospitality Aptitude Test (PUTHAT) from this page. 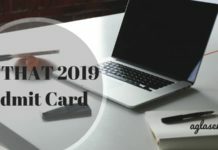 The admission to both the above courses will be on the basis of their merit in the Panjab University Tourism and Hospitality Aptitude Test (PUTHAT) to be conducted by Panjab University. Admission in all reserved categories shall be made subject to fulfillment of the eligibility conditions. Below we mention the exam dates of Panjab University Tourism & Hospitality Aptitude Test. The aspirants should have also passed English as one of the Compulsory Subjects. 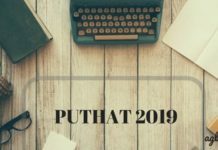 As per last year’s information, the candidates who have passed/appeared in 10+2 Examinations of Mahila Gram Vidyapith, Allahabad are not eligible for PUTHAT as this institution has been derecognized by Panjab University, Chandigarh. Also, the examinations conducted by the Board of Higher Secondary Education, Delhi, included in the booklet of recognized exams, have also been deleted from the Booklet. The PUTHAT paper will be 90 minutes duration in which candidates need to solve 100 MCQ Questions. The medium of the test will be in English Language only. There shall be negative marking i.e., 25% marks will be deducted for every wrong answer. The distribution of questions for each section is provided below in the table.